Disney’s Toy Story Land is home to one of the cutest roller coasters ever. 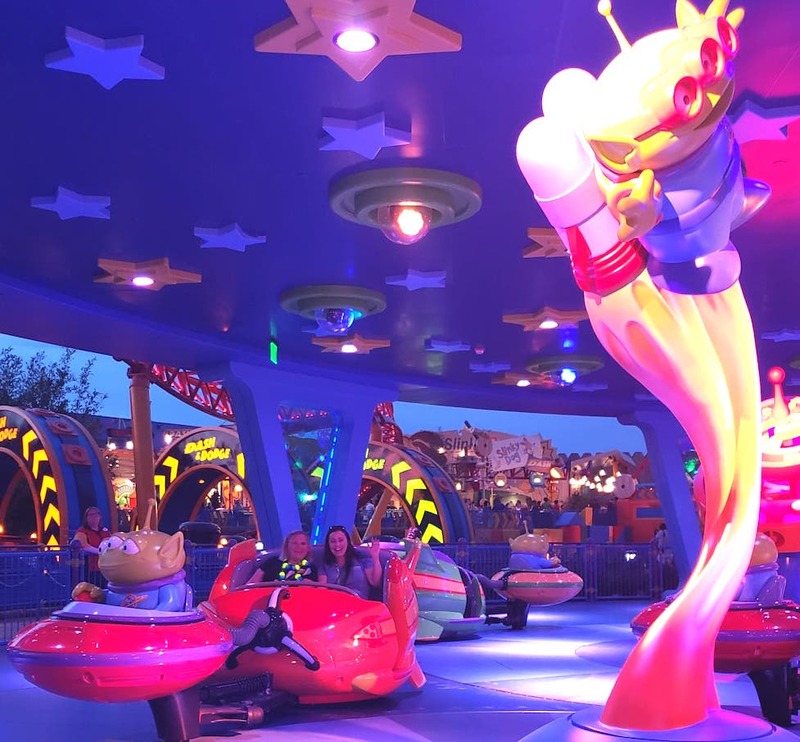 Along with the Slinky Dog Dash roller coaster, you’ll find spinning aliens and a refurbished and upgraded Toy Story Mania shooting gallery ride. 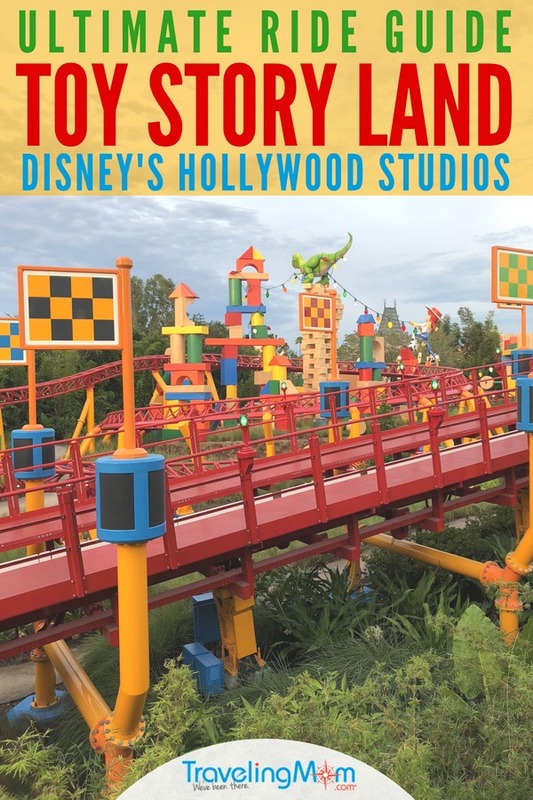 This Toy Story Land ride guide has the details on each, along with recommendations on which seat to choose for the best Slinky Dog Dash experience. While we grown-up kids were waiting for the Toy Story Land opening, we pondered one burning question. What would the Toy Story Land rides be like? After all, what is a brand new section of a Disney park without rides – wonderful rides that will soon have huge followings of their own? How Many Rides Are in Toy Story Land? The short answer is that there are 3 rides located in Toy Story Land. Two of the rides are brand new and are poised to be new favorites. 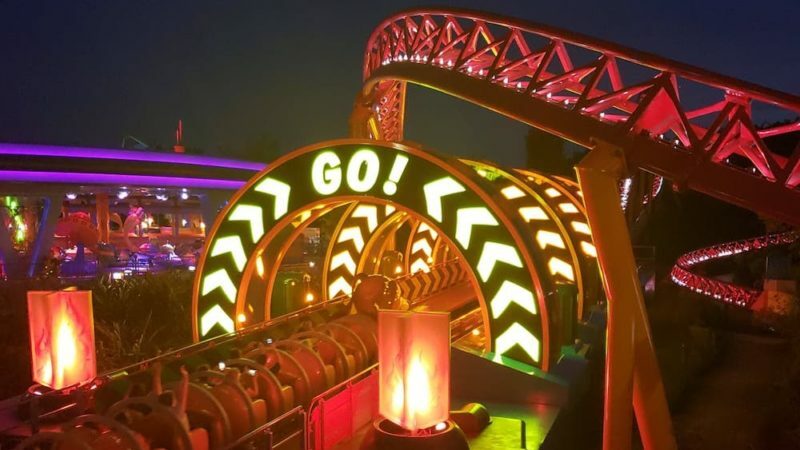 The third ride is an established fan favorite, complete with a new entrance inside of “the Land” (as the 11 acres of Toy Story Land are known). The rides are Slinky Dog Dash, Alien Swirling Saucers and the already-popular Toy Story Mania. Slinky Dog Dash is my personal favorite ride in Toy Story Land and perhaps even in all of Walt Disney World. I have to be extremely transparent with you: I was expecting a kiddie ride. After all, the video teases I had seen prior to the visit made Slinky Dog seem like it was a slow, tame roller coaster. I felt like I was 12 years old again, riding my favorite ride. Visiting during a media preview meant that I was able to ride Slinky Dog Dash multiple times. That meant I could try different seats on the ride. Here’s my analysis: The back of the coaster is where the action is. The curves, twists and hills were amplified. More timid riders should aim for a seat in the middle, where the action is a little more muted. I also recommend sitting timid riders in the right side seat, where the view of the drops and sharp curves is more muted. For those looking for a good combo of the two, the front of the ride is the best place to be. You get the view of Slinky Dog’s head, his ears are so cute, and it is still a fun ride but not as much of a thrill as the back! It’s no surprise that Slinky Dog Dash is the most popular ride in Toy Story Land. Opening day wait times were upwards of 300 minutes. Grab those fast passes as soon as you can! Check out my ride with Paul from TravelingDad! When I first saw this ride, my stomach started begging me to avoid it. There was some fear the swirling would be more like the spinning that riders experience in the tea cups in Magic Kingdom. Luckily for everyone involved, the ride turned out to be a fun one that even cautious riders should be able to handle. A ride on Alien Swirling Saucers, is for all intents and purposes can best be described as a ‘whirling’ ride. The cars make a larger loop covering more ground than say the tea cups, then brings you back to the middle quickly. It is a fun ride for the whole family, it is relatively tame but provides enough of a thrill that you can expect to hear giggles from parents and kids alike. Nostalgia set in for me on this ride in a big way. It reminded me of the Scrambler, that would appear at local carnivals in parking lots during the summer time. My dad and I would ride together and laugh the whole time. So when I got to experience the Alien Swirling Saucers with my son, we laughed together. I couldn’t help but thinking of the times as a little girl that I got to ride with my dad. TravelingMom Tip: There are two sets of this ride running at the same time and the exits for the different sets are a bit apart from one another. So, if you were waiting for your rider, keep a close eye on which side of the ride they end up on so you’ll know where to meet them at end of the ride. Toy Story Mania is certainly not the newest kid on the block. If you and your family have visited Disney’s Hollywood Studios before, you’ve been on this ride. 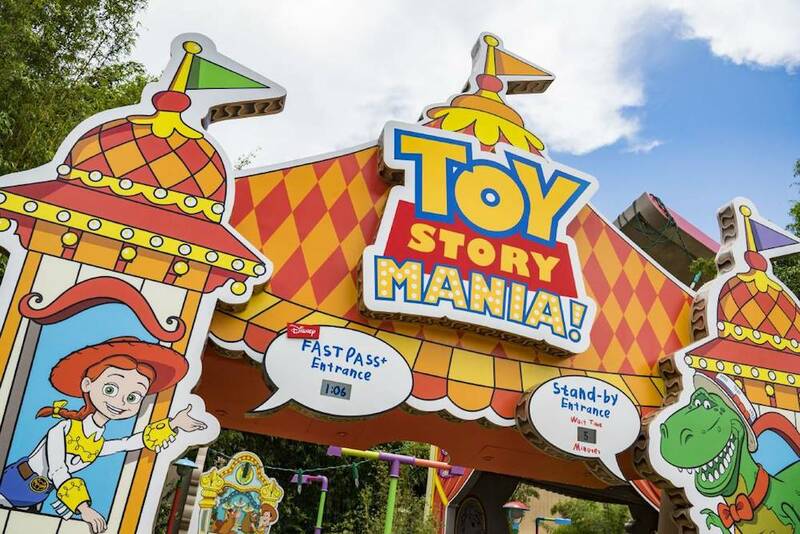 With the opening of Toy Story Land, the ride received a facelift in the form of a new entrance inside of Toy Story Land. Additionally, there has been a third track added, which allows for more riders at a time as well as new challenges for veterans of this ride. 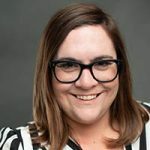 TravelingMom Tip: Keep your eyes peeled at the end for fantastic photo opportunities in front of the popsicle stick wall! 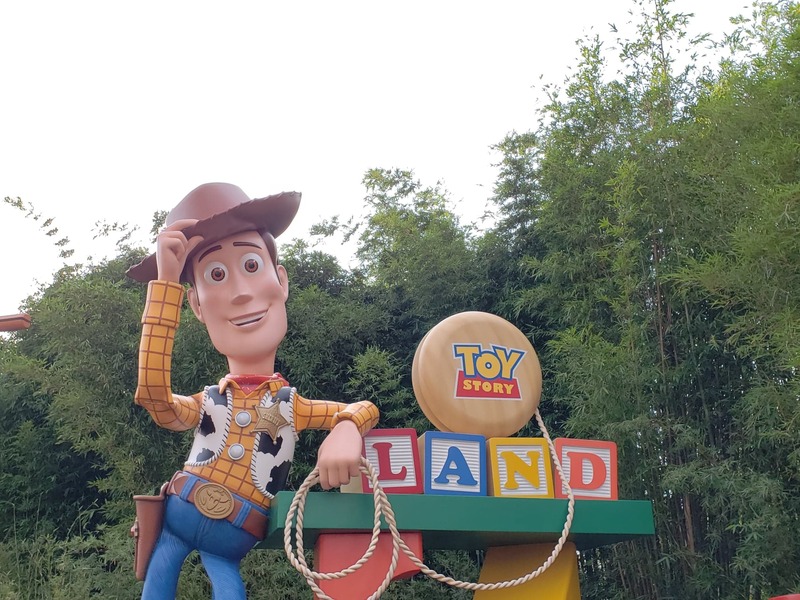 Disney hit a grand slam with Toy Story Land, from the theming to the rides to the inventive food. There are sure to be lengthy lines for the foreseeable future; fast passes will be your best friend to help alleviate this. Spotting the little details that Disney has injected through out the Land will also help pass the time. 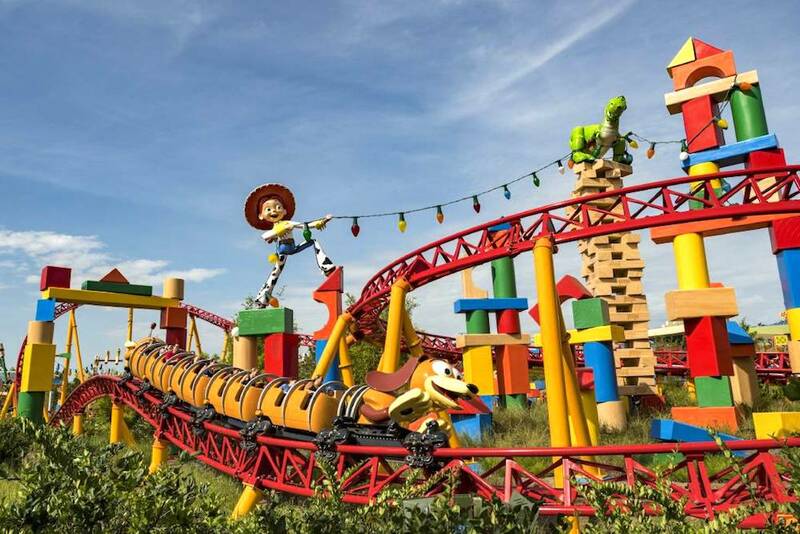 We can’t wait to hear which Toy Story Land ride you enjoy the most!